State-of-the-art satellite rainfall products are often the only way for measuring rainfall in remote areas of the world. However, these products may fail in properly reproducing the amount of precipitation reaching the ground, which is needed for hydrological applications. 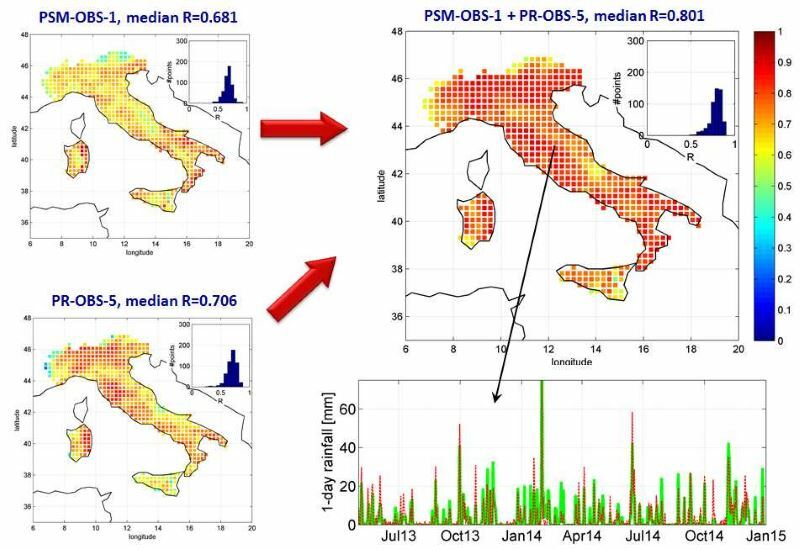 The integration of satellite soil moisture products is expected to significantly improve rainfall estimates. 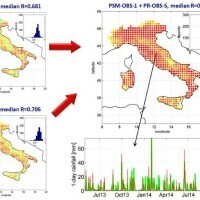 The main purpose of the project is the development of a new cumulated rainfall product (over 12 and 24 hours) that integrates satellite rainfall and soil moisture (through SM2RAIN) datasets by considering two operational products delivered within the H-SAF project: PR-OBS-5 and SM-OBS-1. The project will be dedicated to the application of SM2RAIN algorithm to SM-OBS-1 for providing the SM2RAIN-derived product. Then, the latter will be integrated to PR-OBS-5 through an optimized nudging scheme. The new integrated product will be validated with ground observations across Europe. Finally, the operational implementation, the specifications and the requirements of the integrated product will be analysed.